There are 1,180 safe secure parking spaces with direct access to the shops. The Garratt Lane car park has 850 spaces and is ideally situated for Waitrose, Cineworld and the restaurants. Open 6.00am - 2.00am (Mon - Sun). Height restriction: 2.1m. The Buckhold Road car park has 330 spaces. The car park is accessed via Neville Gill Close and is handy for Nuffield Health Gym and all shops. Open from 6.00am - 11.00pm (Mon - Fri) and 6.00am - 9.00pm (Sat & Sun). Height restriction: 1.8m. Cineworld: Free parking for Cineworld Wandsworth customers after 7.00pm-2.00am only. Please validate at the concession stand upstairs after your film before inserting in the car park machine. Nuffield Health: Free parking for up to 2 hrs for members attending the Southside club only. Please validate at the reception after your workout before inserting in the car park machine. - The above concessions are car park specific. The Cineworld and Waitrose parking offers are only valid in the Garratt Lane (Car Park 1) site whilst the Nuffield Health concession is restricted to the Buckhold Road facility (Car Park 2). - Only 1 concession per ticket and you will need to pay for additional hours outside of the offer. - Failure to observe this will result in full payment being charged for your stay. Wandsworth Southside 1 has 43 bays. This car park is located off of Garratt Lane and is best for the Cinema, Waitrose, restaurants and all the shops! 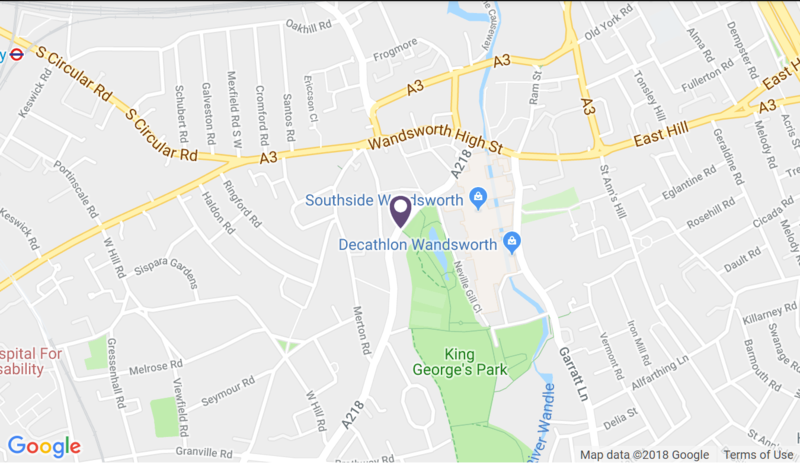 Wandsworth Southside 2 has 5 bays. This car park is located off of Buckhold Road and is best for Nuffield Health Gym and Debenhams. If you'd like to know more about our accessibility please click here, alternatively please contact us directly.